The eye of Typhoon Sudal exceeds the giant size of about 100km in diameter, and the size has been kept up for a few days, but it looks weakened as the typhoon moves northward. 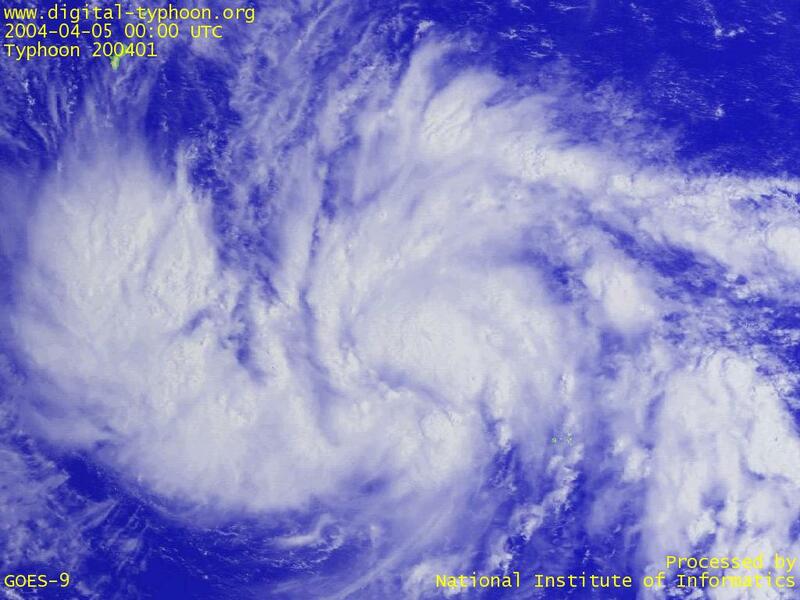 The typhoon is forecast to pass near Ogasawara Islands. Typhoon Sudal leaves Yap in state of emergency, a press release from Government of the Federated States of Micronesia on April 12, says that the damage of Yap is extensive. 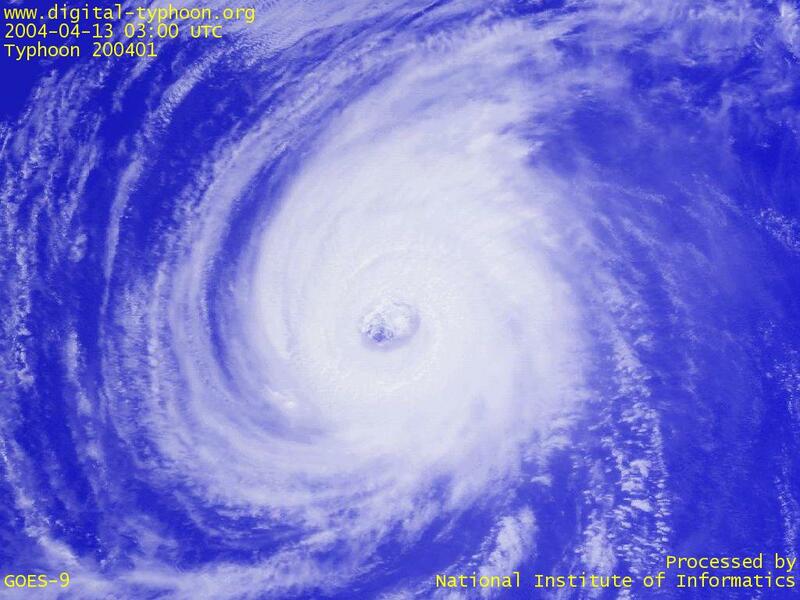 The maximum wind reached 132 mph (=59m/s) with wave heights of more than 35 feet (=10.6m). Typhoon Sudal has peaked out, but maintains its intensity, and its enlarging eye is still visible from space. It keeps its slow speed, but its movement gradually turns into eastward direction. Typhoon Sudal has developed into a super typhoon with its clear eye visible from space. Yap and Ulithi will again be hit by two strong typhoons in a row, just after the attack of Typhoon Lupit. It is said that recover from Typhoon Lupit is yet to be completed, but people living on those islands try to be well prepared for another typhoon. Due to the malfunction of the satellite data receiving station at Alaska, USA, today's typhoon images and satellite images lack some lines and hence look corrupted. This problem is out of our control, so please be patient until the system is recovered. 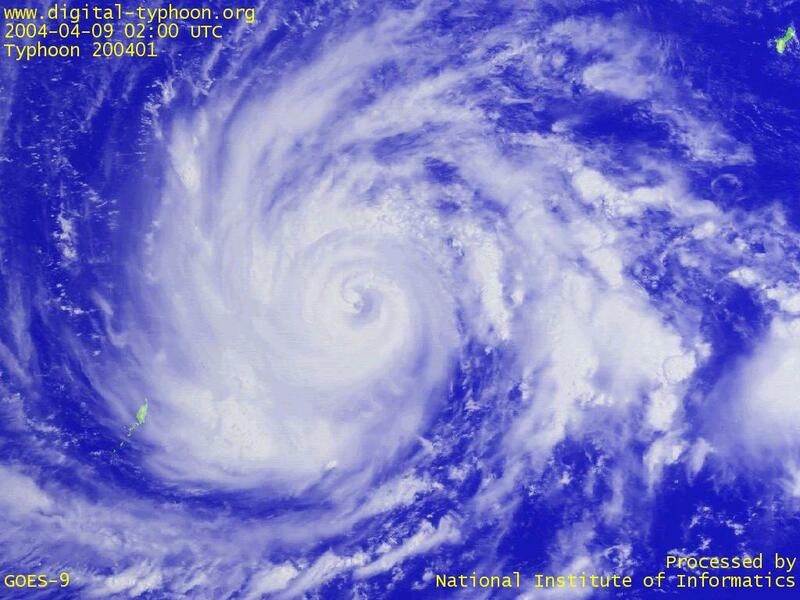 Typhoon SUDAL was born off the Caroline Islands in Micronesia. 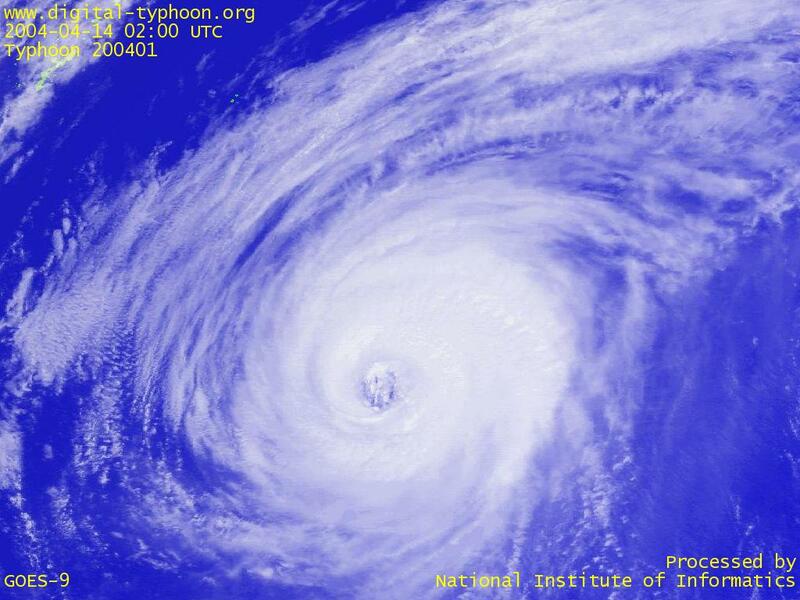 Some news articles pointed out that this typhoon was born three months later in the year than Typhoon No. 1 of the previous year, but this may be a meaningless comparison regarding the fact that typhoons in January belong to the previous typhoon season in general. Digital Typhoon: Search by Typhoon Number -- You can search all of Typhoon No. 01 in history. Satellite images of Typhoon Sudal by NASA.